The bus company Baltour offers daily connection between Rome and Naples. There are two different lines. The average journey time is 3 hours. In Rome the bus leaves from Tiburtina bus terminal. In Naples the bus leaves and arrives to Corso Lucci – Metropark that is situated near the central train station of Naples on piazza Garibaldi. The avergae journey time is 3 hours. The cost is 12-15 EUR. 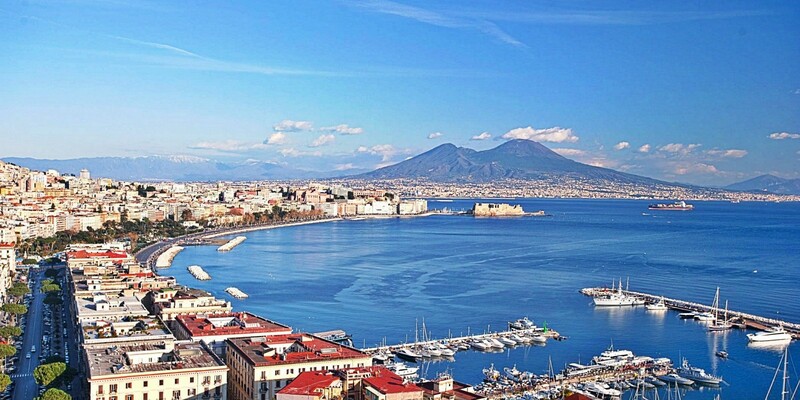 Flixbus offers daily connection between Rome and Naples. In Rome the bus arrives and leaves from Tiburtina bus terminal. In Naples the bus arrives and leaves from Corso Lucci – Metropark,that is situated near the central train station of Naples on piazza Garibaldi. The average journey time is 3 hours. The cost is 7 – 5 EUR. You can book the tickets on the official website of Flixbus. In Rome the bus arrives and lives from Tiburtina bus terminal. In Naples the bus arrives and leaves from Corso Lucci – Metropark,that is situated near the central train station of Naples on piazza Garibaldi. The average journey time is 3 hours. The price is 9 EUR. It is possible to book the tickets online on the official webiste of Buscenter. Turismo Trasporti Internazionali (TTI) offers connections between Rome and Naples. In Rome the bus arrives and lives from Tiburtina bus terminal. In Naples the bus arrives and leaves from Corso Lucci – Metropark,that is situated near the central train station of Naples on piazza Garibaldi. The price is 11 EUR. The average journey time is 3 hours. Note please that it is obligatory to book tickets in advance. Megabus offers connections between Rome and Napols. Prices start from 1 EUR. In Rome the bus arrives and lives from Tiburtina bus terminal. In Naples the bus arrives and leaves from Corso Lucci – Metropark,that is situated near the central train station of Naples on piazza Garibaldi. The average journey time is 3 hours.